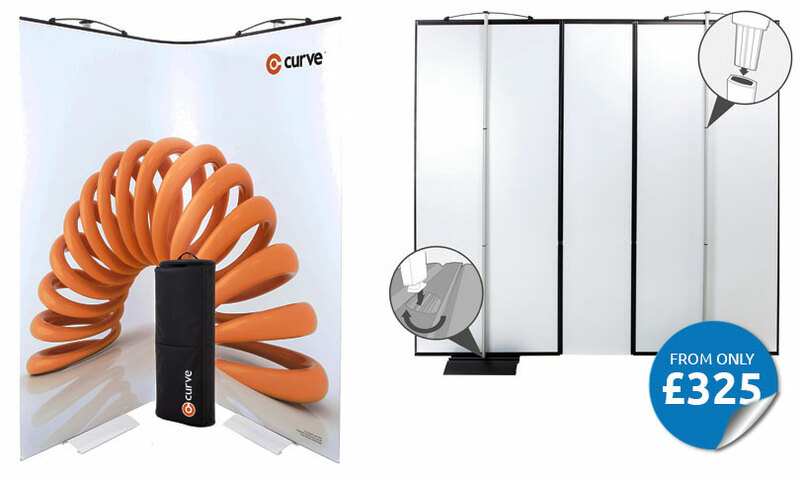 The Curve display stand is designed to offer the same flexibility as the popular Twist tension banner stand to help bridge the gap between the numerous budget exhibition stands or pop up displays. With no compromise on quality, and design the curve display stand offers outstanding value for money; Curve is the perfect choice for anyone wanting a light, flexible, affordable display system. Graphics are easily connected by seamlessly linking multiple kits creating almost limitless configurations and flexibility. The standard 3 panel kit comprises of two individual stands 2050 x 850mm and a flexible panel 2050 x 425mm, with optional integrated LED lighting.